We were going to a family Thanksgiving, and I was planning to make Pumpkin-Maple Pie and Pecan Pies. 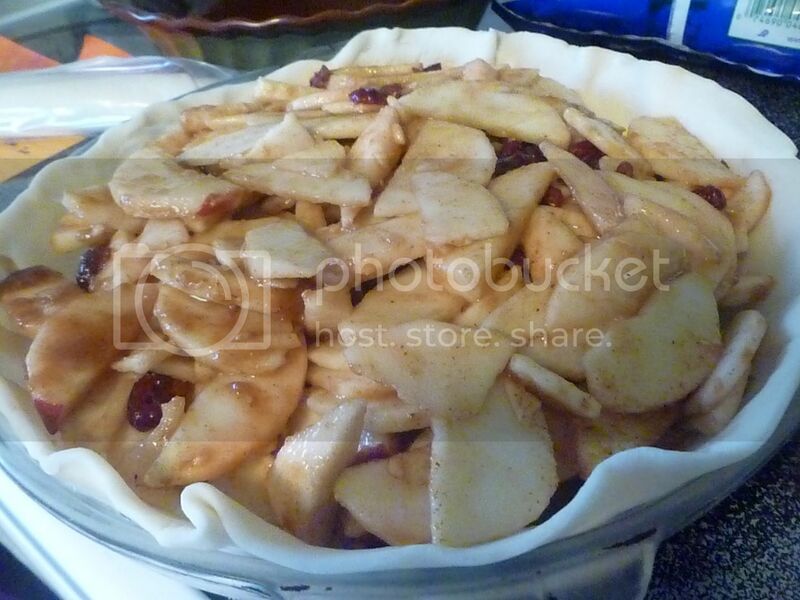 I had a bag of apples that needed using, though, so I thought I'd make an apple pie too. Look. 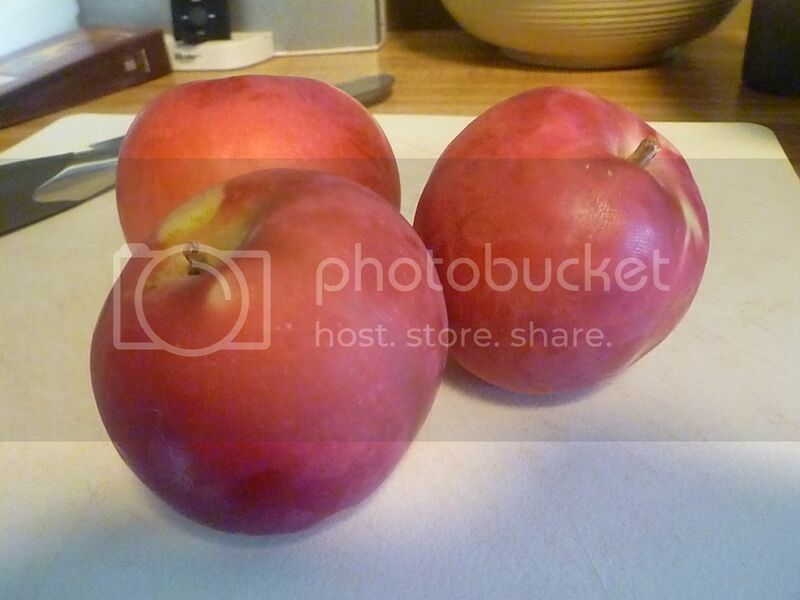 They're just begging to be made into pie. I peeled them, and then cut them in half. Then they were all quartered. And then I cored them by cutting into them at a diagonal. After that, I sliced them up fine. I needed 7 cups of apples. 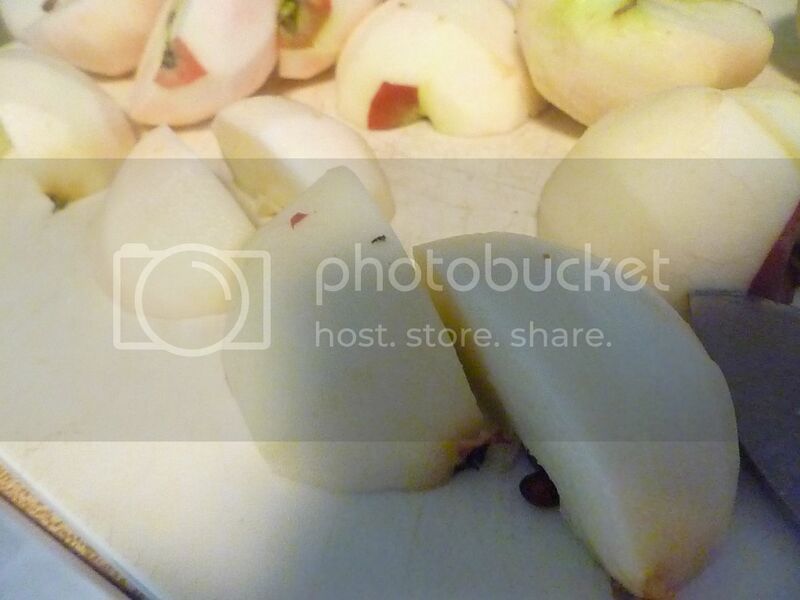 About a dozen small apples filled that amount perfectly. 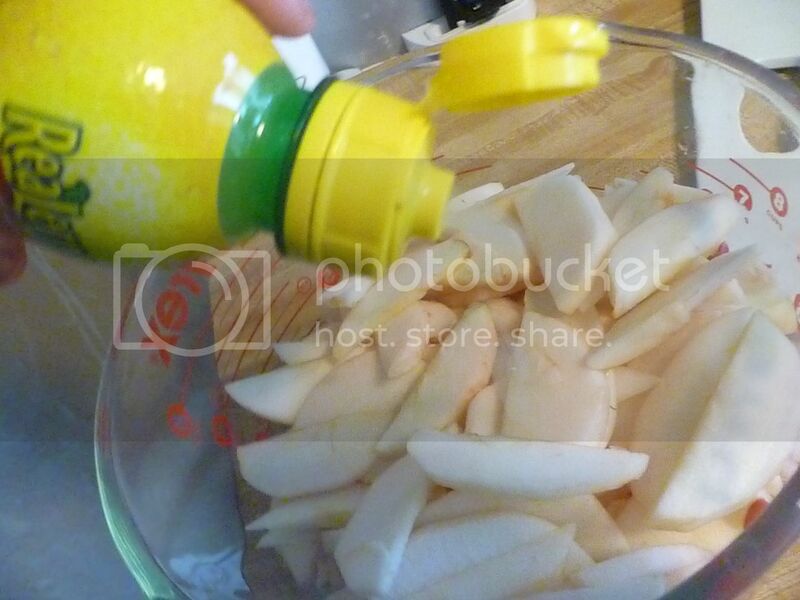 A couple tablespoons of lemon juice will help keep the apples from turning brown. 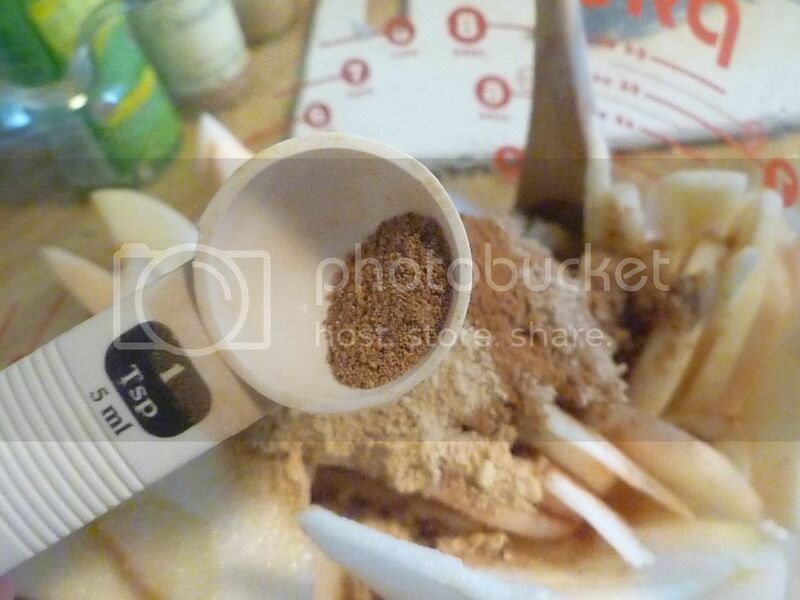 Brown and white sugars sweeten the deal. 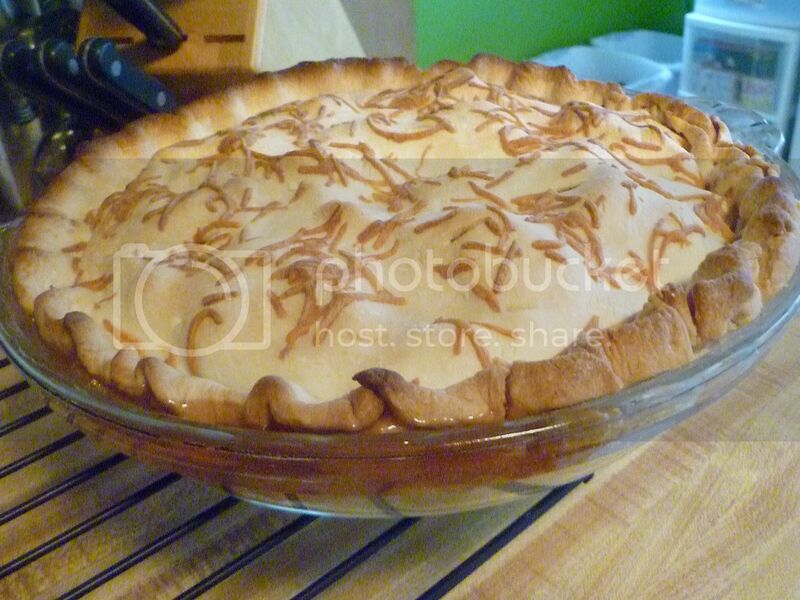 I used about a third of a cup, which made a not-too-sweet pie. 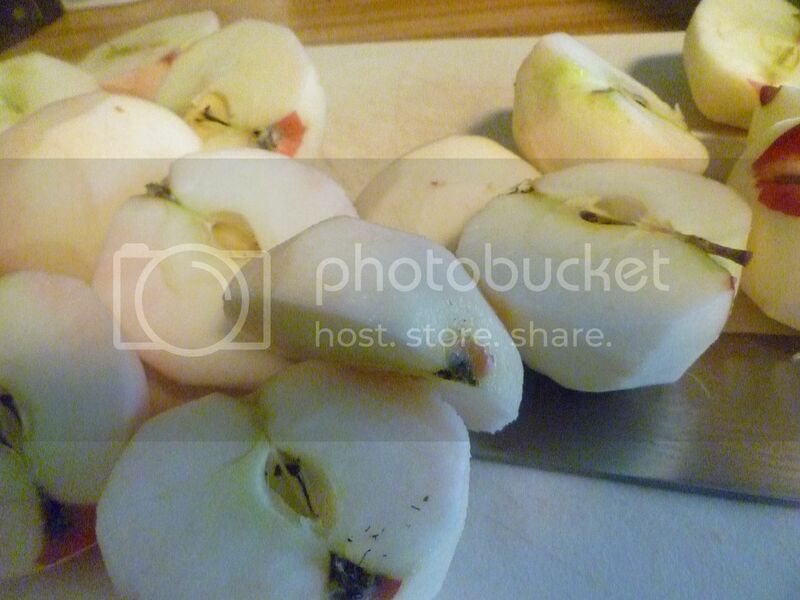 I also used sweeter apples (Gala, I believe.) 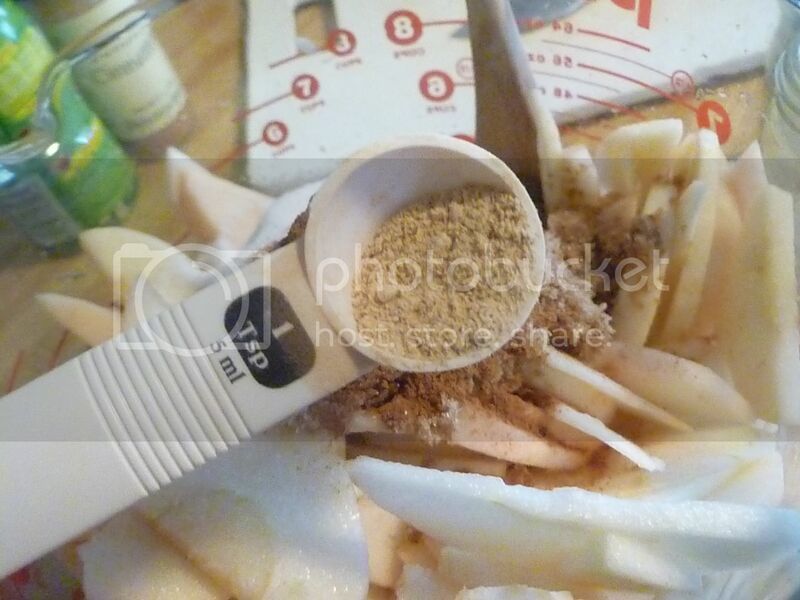 If you like sweet pie, or are using tarter apples, feel free to add a tablespoon or two more. 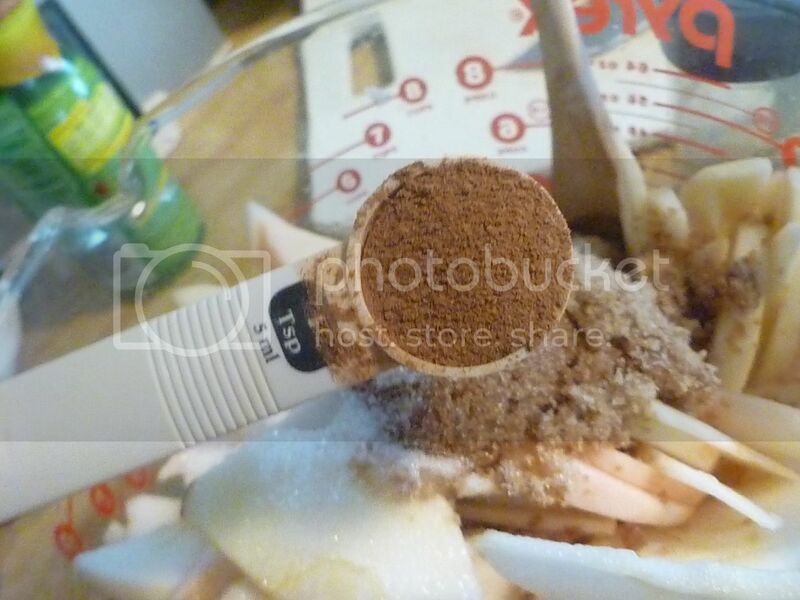 Traditional apple pie flavors come next, starting with cinnamon. Salt, of course, always belongs in baked goods. Flour will help your filling thicken while the pie bakes. I remember as a kid when my grandma would make apple pie. I would just sit there, eating her sliced, spiced apples. 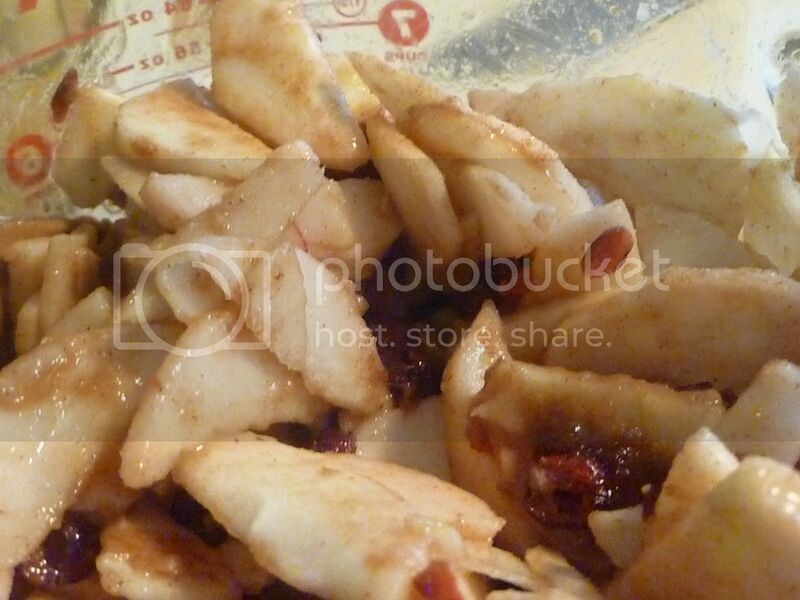 Even when making apples to eat by themselves, I'd always add a bit of flour. I guess I just thought it belonged. 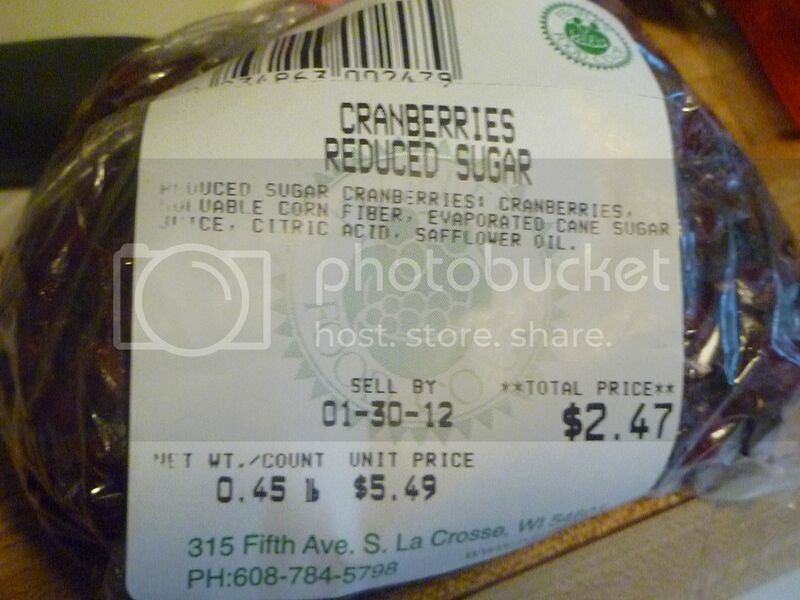 To make it more seasonal, I added some sweetened dried cranberries. 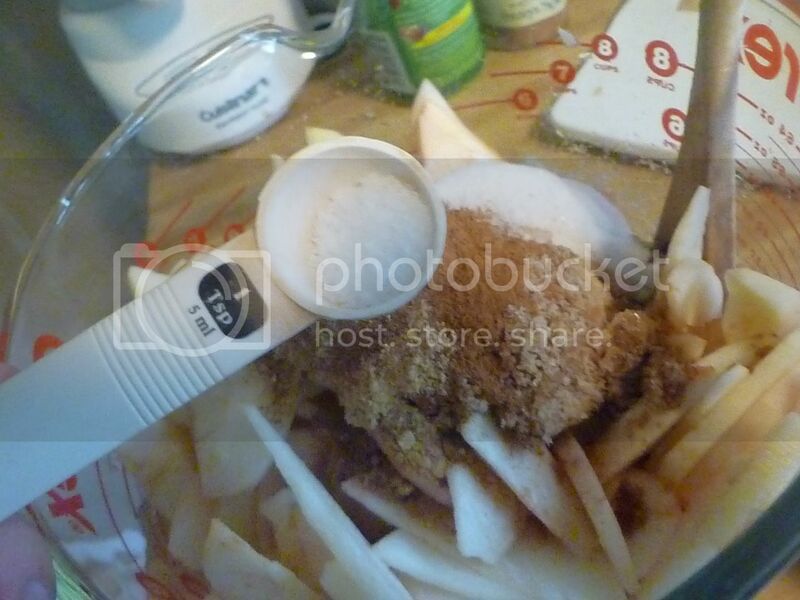 Everything was stirred together, and then I let the filling sit for at least 15 minutes, to let the sugars melt and the spices flavor the apples. 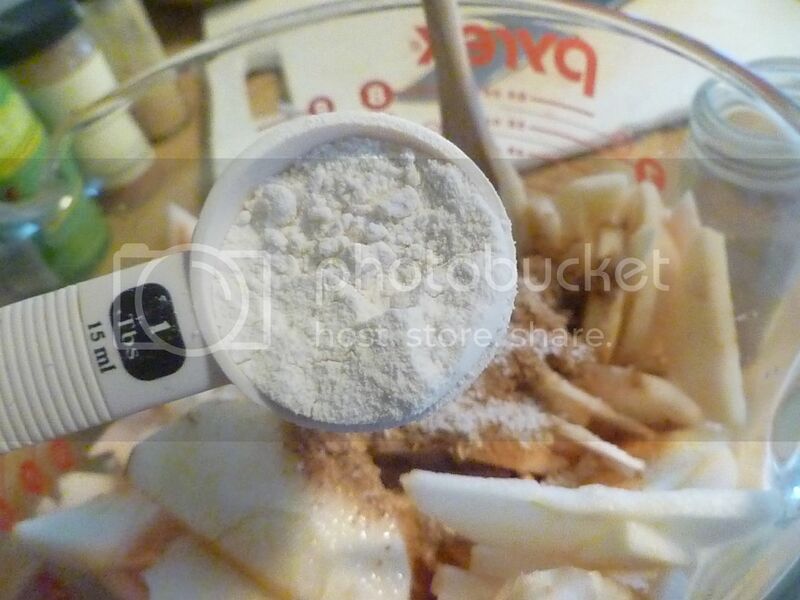 When you're ready, pour your filling into your pie crust. Yes, I cheated and used storebought. Dot the top of the pie with butter. Roll the second crust over the top and crimp the edges. Make sure you do a good job, or the juice may leak. 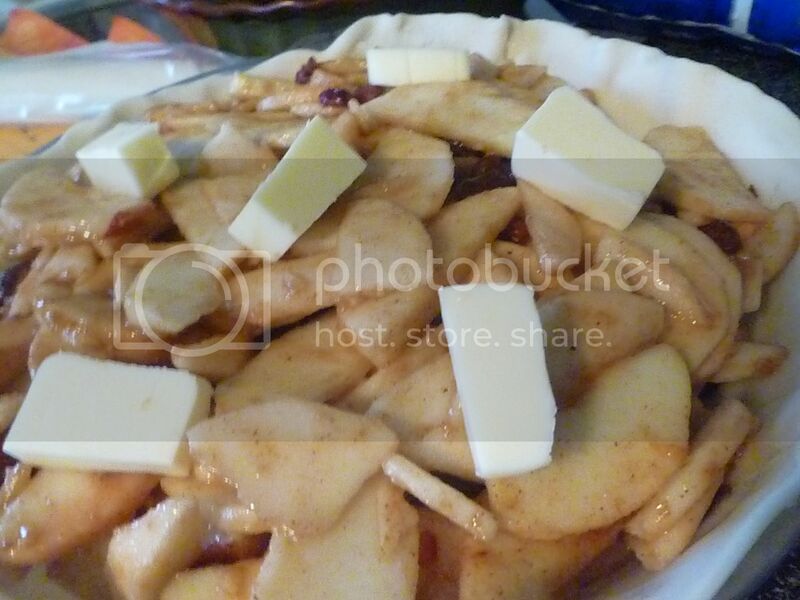 Apples and cheddar cheese are a great pair. If I had made my own crust, I would have made a cheddar cheese crust. But I didn't. 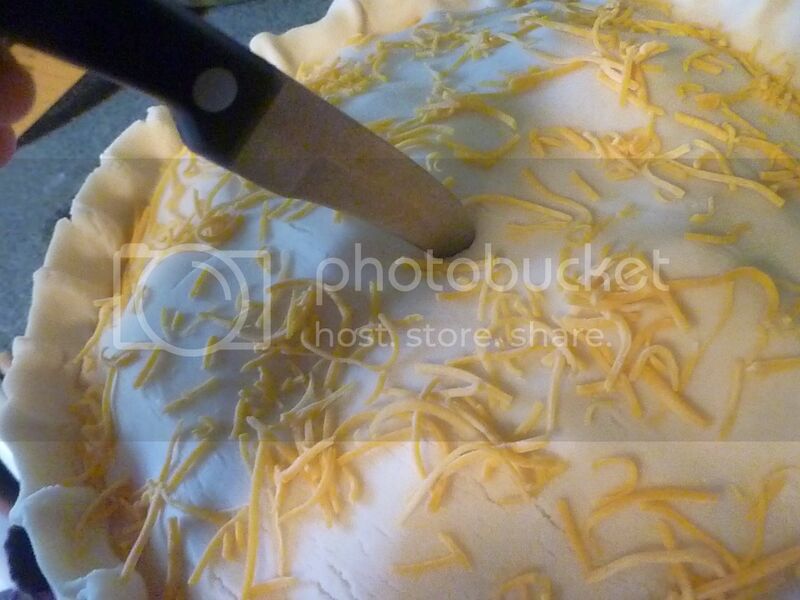 So I just sprinkled some cheddar cheese over the top of the pie. It works, I promise! 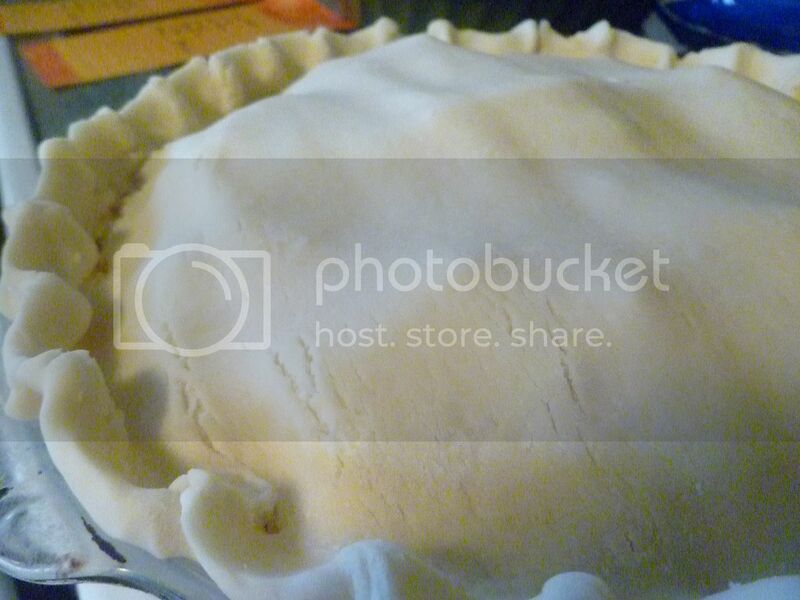 And don't forget to cut a few holes in the top of the pie, for venting. Give the pie some time in the oven, and you'll get a great golden-brown crust with a warm, spicy filling. 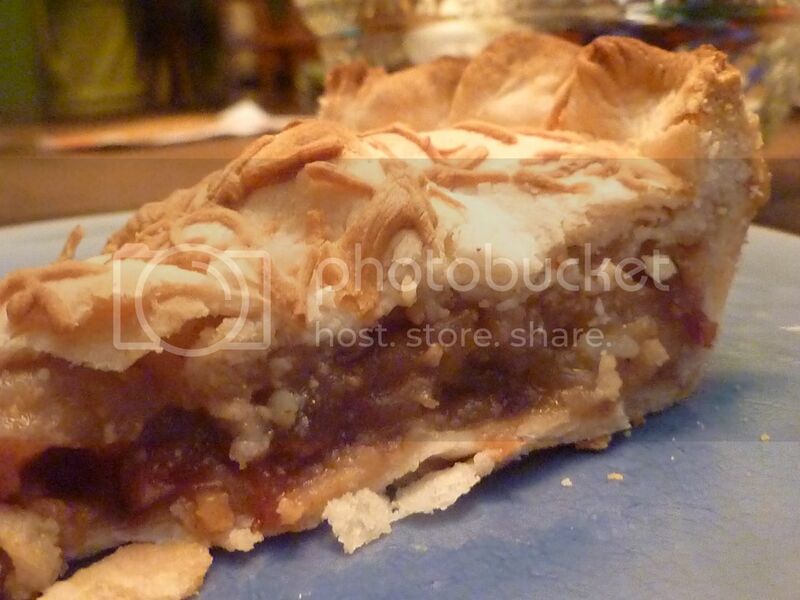 It's a great fall pie, and perfect for taking to your next Thanksgiving party. 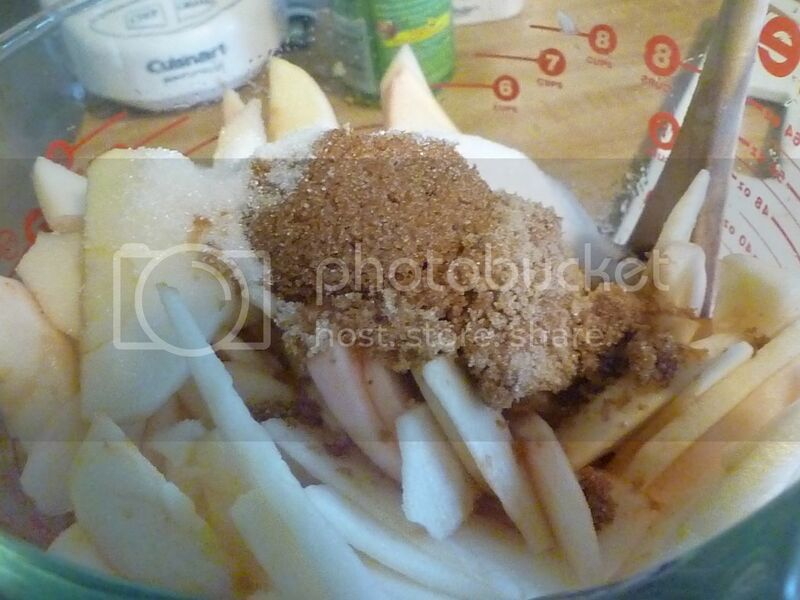 Combine apples, lemon juice, brown and white sugars, cinnamon, ginger, nutmeg, salt, and cranberries. Stir well. Let sit for 15-30 minutes, to allow flavors to mix. 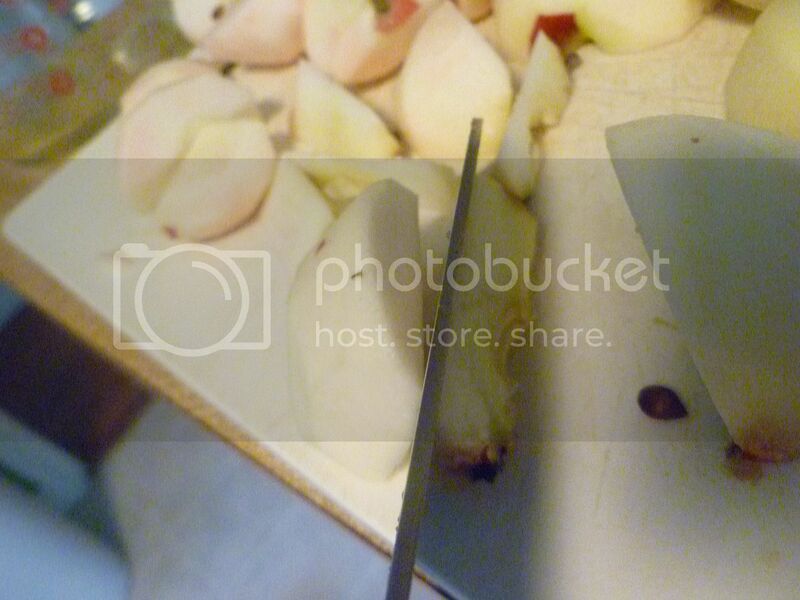 Pour apples into piecrust. 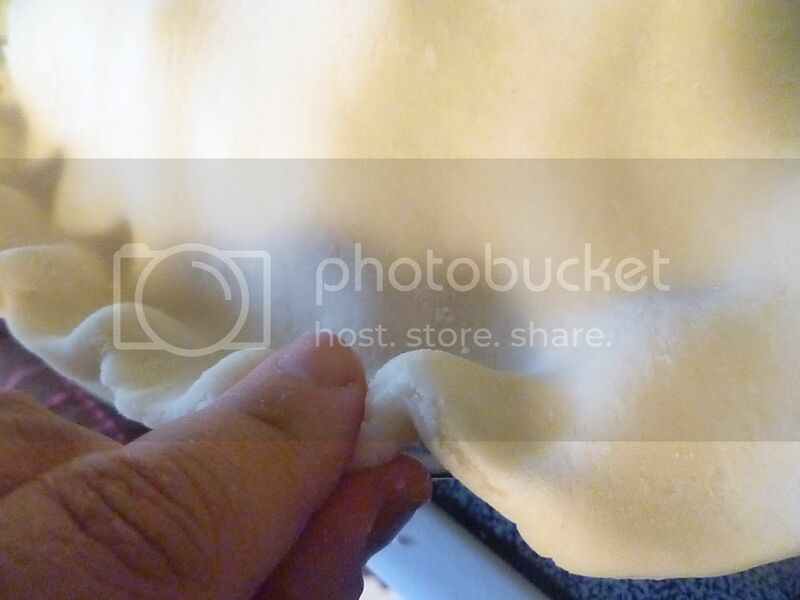 Roll second crust over the top of the pie; crimp the edges. 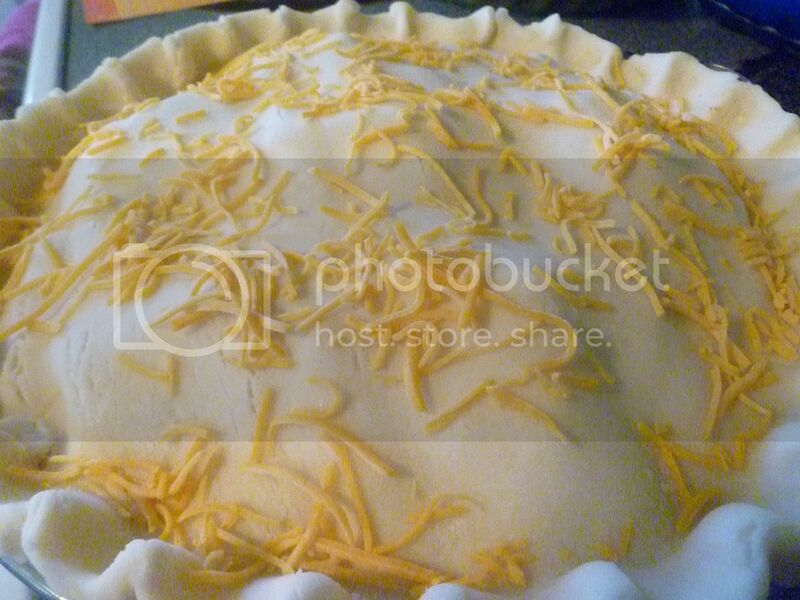 Sprinkle the top of the pie with cheddar cheese. Bake in a 425F oven for 45 minutes. Let cool before serving.